Exclusive Sedan Services has a nice selection of limousines and sedans available for all your business needs. 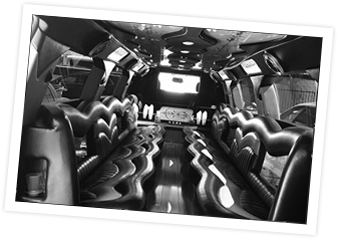 We can accommodate any number of passengers, and can make your next business meeting, convention/trade show, or airport to city transfer a stress-free occasion. Our dedication to providing only the best service to our clients, means that customers can count on our staff of highly-trained professionals to arrange and take care of all the details of your travel arrangements. 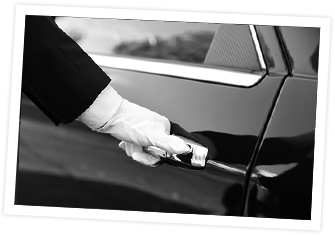 Plus, Exclusive Sedan Service has always offered bilingual chauffeurs, customer service representatives, and dispatchers to provide a broader range of services for our clients. Whether it's a wedding, elegant social engagement, or any other special occasion, you can trust Exclusive Sedan Service to provide you with an unparalleled level of expertise and professionalism. In the late 1980's, Exclusive Sedan Service created a cut-away limousine for the motion picture and television industry. A cut-away limousine is cut into three (3) sections from the firewall to the rear bumper. Each section is on casters allowing for easy maneuverability. The cut-away also includes easy pop-out windows and removable seats and door panels for filming for Cadillac and Lincoln limousine interiors. We also have many other vehicles from all era's that are used exclusively for the motion picture industry and are shown in the MOTION PICTURE VEHICLES picture gallery. 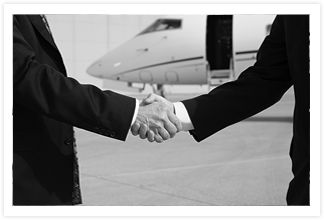 For clients who also require air transportation options, Exclusive Sedan Services offers many different air charter options. Our client service representatives will work with you to ensure that all your needs and wants are met--no request is too big or small. We offer 24-hour concierge service to every prospective traveler to make sure that all parts of your travel experience go smoothly as planned. Let ESS take care of all the arrangements so that you'll be able to fully relax and enjoy your flight when the time comes.